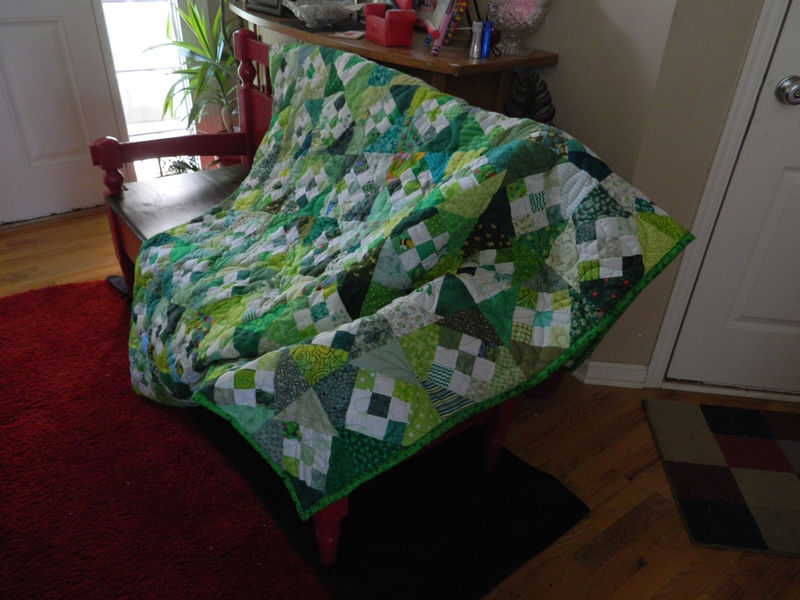 My How Time Flies When You’re Quilting! 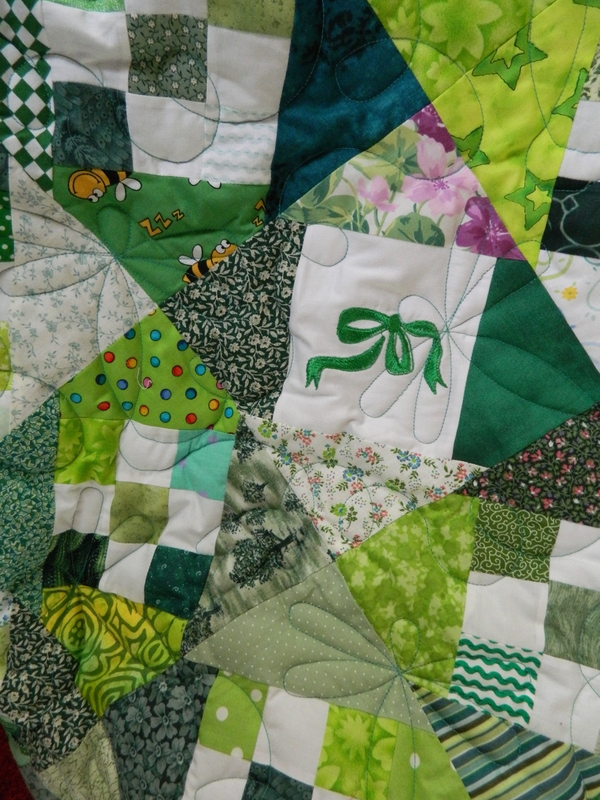 Okay, for the last four days I have been working on a new quilt. Well, technically it is going to be more than one, but the intent was to create one. 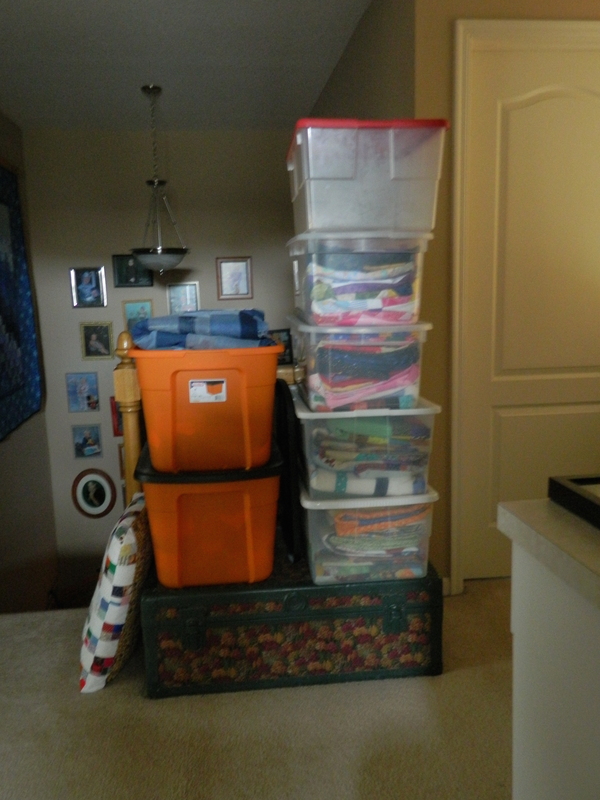 While organizing and cleaning up my sewing room – ostensibly for the purposes of trying to finish any- and everything that I have started. I get like this occasionally where I will vow not to start something new until everything I have already started is done. 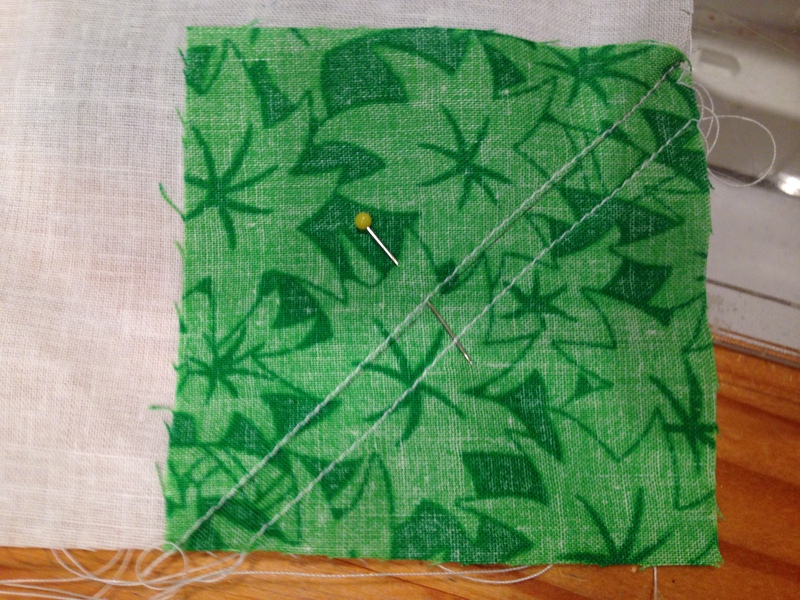 In this exercise, I found a large ziplock bag with 3″ squares sorted by color. 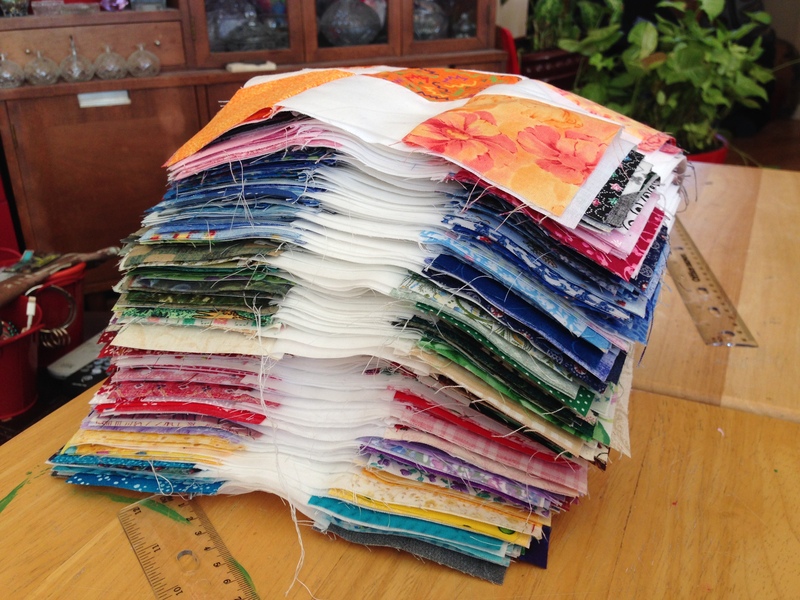 LOTS of 3″ squares. So, I thought I’d make one of my favorite quilt patterns (used on one of the quilts on my bed) and zip through this pile of squares. 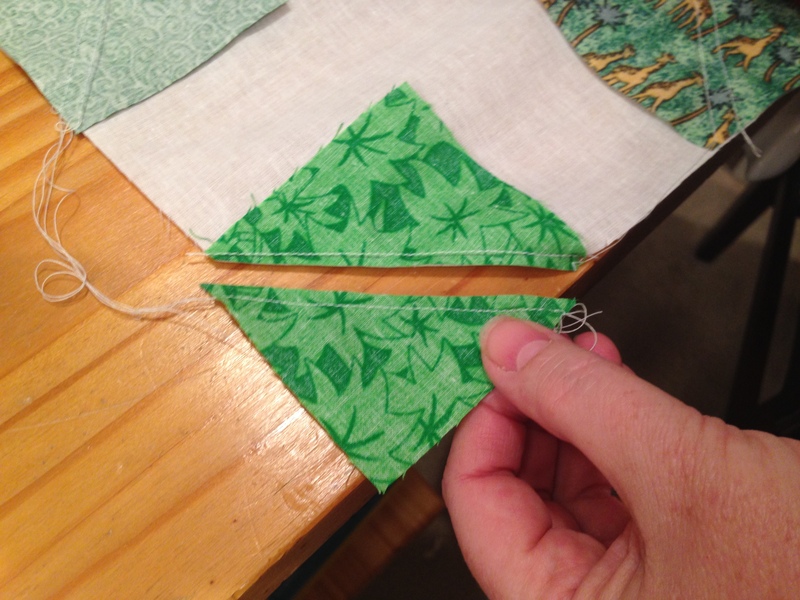 The next step would be to cut and sew the four triangles onto each side. I didn’t have these pre-cut, so it occurred to me that I would have to delve into uncut stock, and I was looking to reduce the amount of precut that I had. 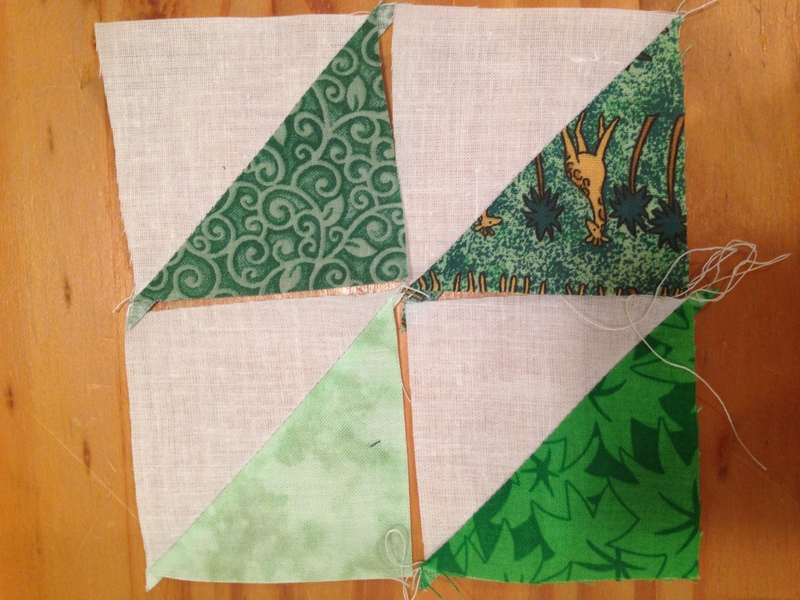 So, I had an idea… each of these blocks would be set with a block pattern called a “snowball”. Basically a square with each corner replaced with a triangle corner. 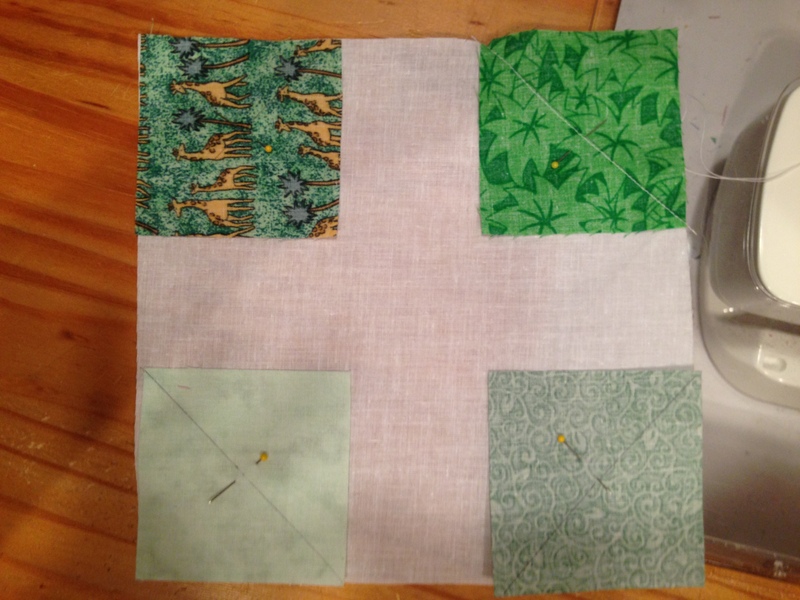 I have found the easiest way to produce this, is to place a block at each corner, mark it and sew it diagonally. I got The Kid to help with drawing the lines. 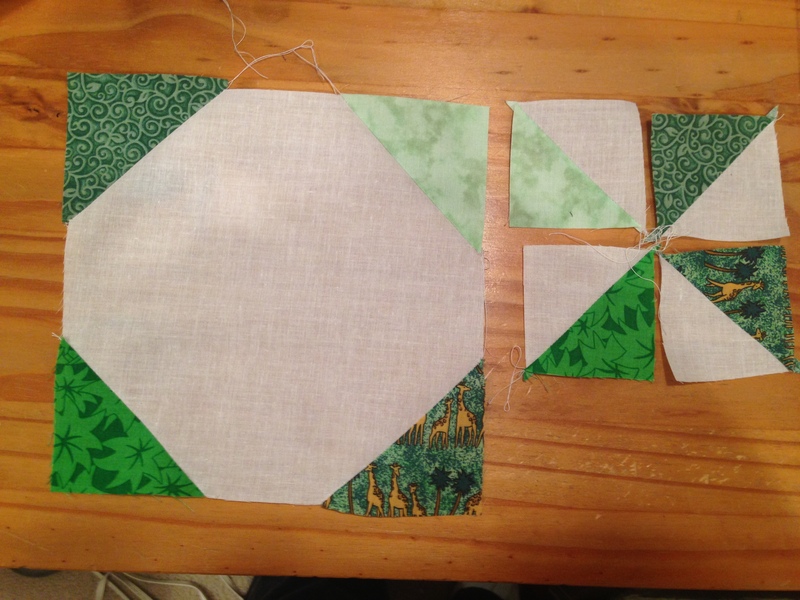 I had way more blocks than originally anticipated. Isn’t that they way it goes? 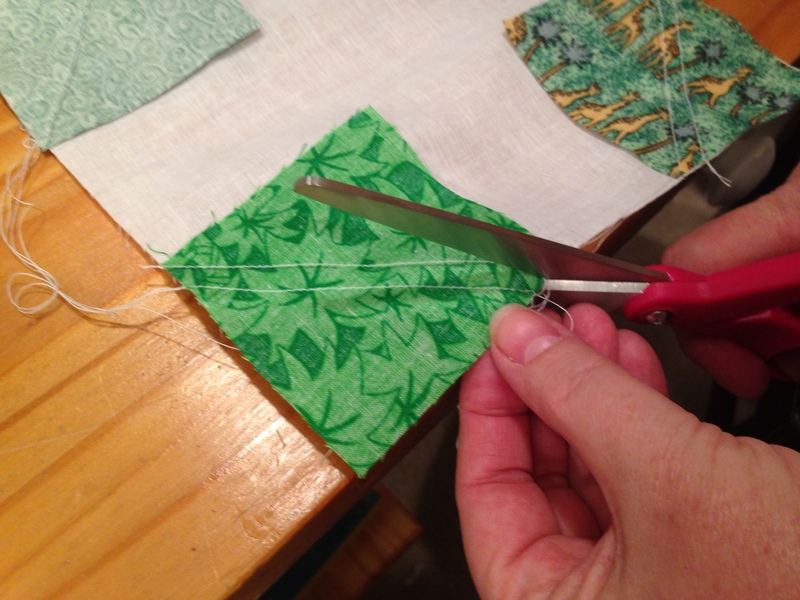 In order to not waste the part that is cut off is to sew a secondary line about 1/8″ away from the original line. Once separated, you simply iron everything. Depending on how many squares you have, this may take a while. I think I watched a whole movie while doing all this ironing! 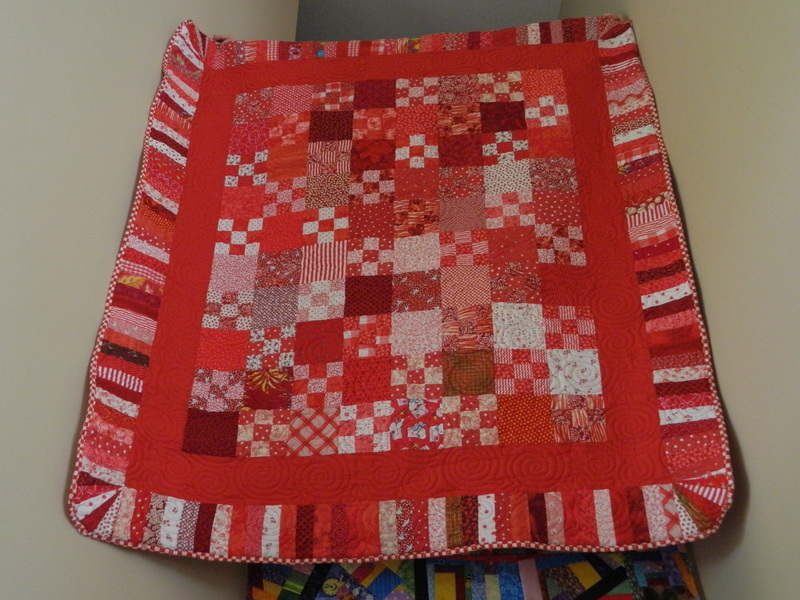 The larger block will compliment the nine-patch and I will use the smaller blocks for a smaller quilt. 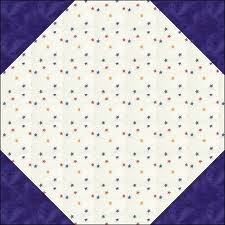 Or maybe a border on another quilt. So, next up is to connect the nine patch to the snowball. I am going to deviate each line of blocks so that it staggers the placement of each block. 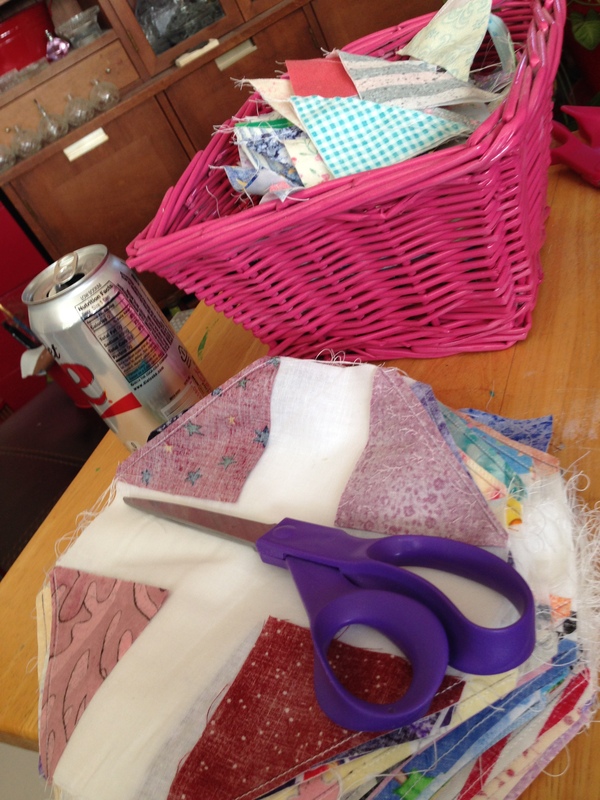 I may actually have more than enough for a single quilt top, and perhaps might divide it into two. 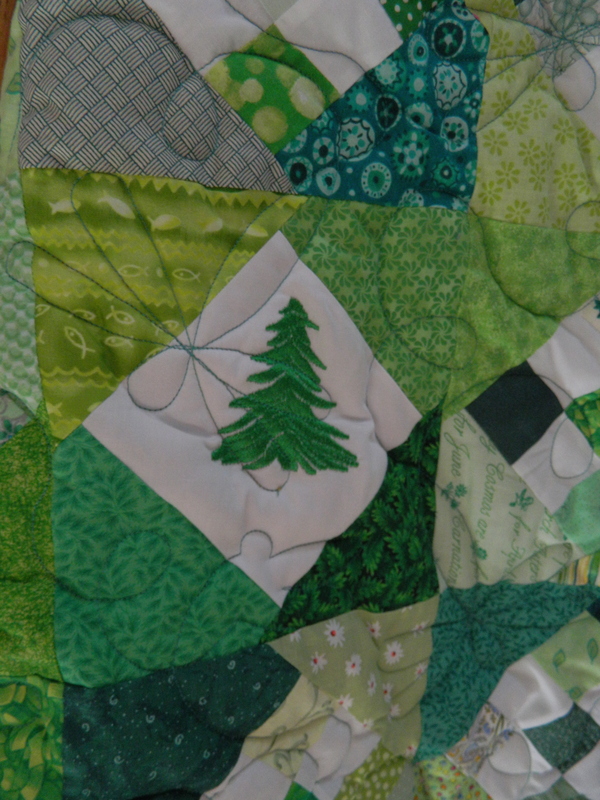 The colors I have most is blues and greens, and it might be enough to spin into two separate quilts of their own. 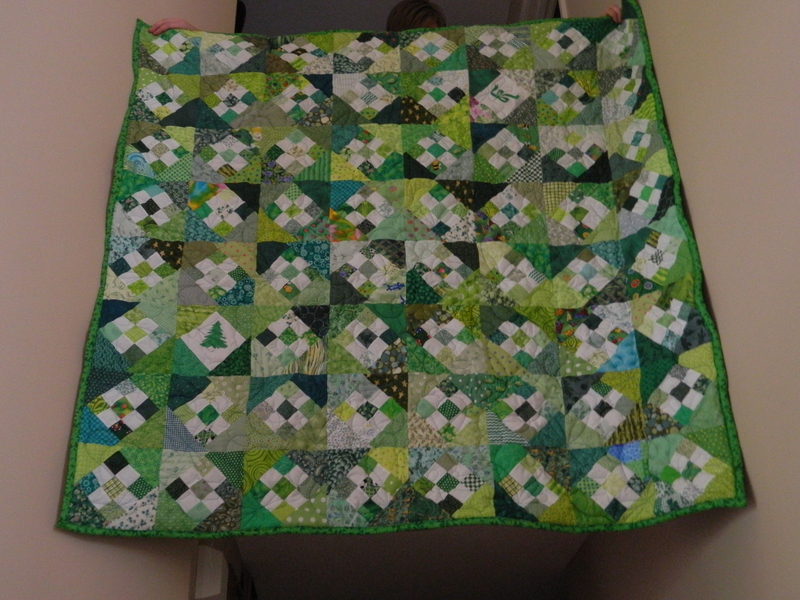 For as long as I have been quilting, I never seem to be able to accurately estimate the number of squares or blocks I need. 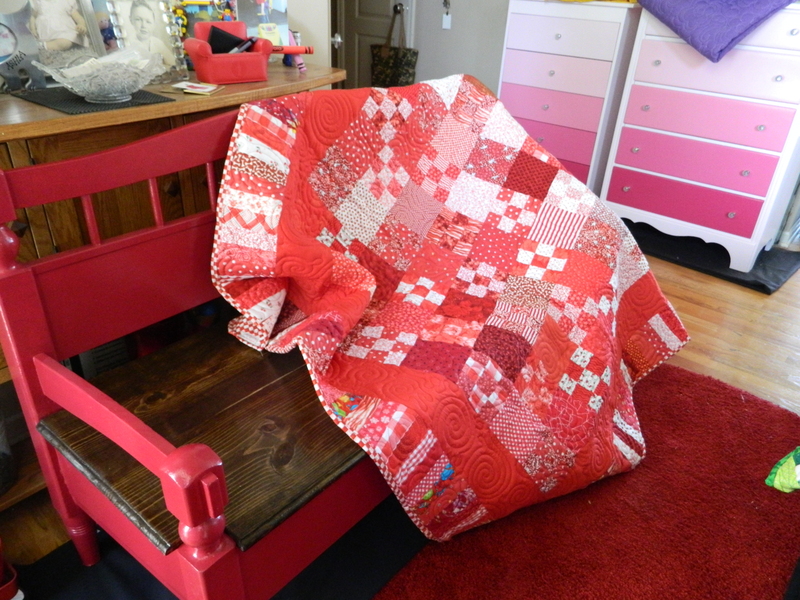 I guess that is why I seem to end up with extras, enough to create “orphan quilts”. Some day when I don’t have anything to write about, I’ll do a post on those.